Until the end of the 1980's, the bikes used in triathlon were very similar to those rode in bike races, from local crits to the Tour de France. After that, the popularization of newer frame materials such as carbon, aluminum and titanium saw triathlon bikes, and time trial bikes in general, evolve into a separate species. 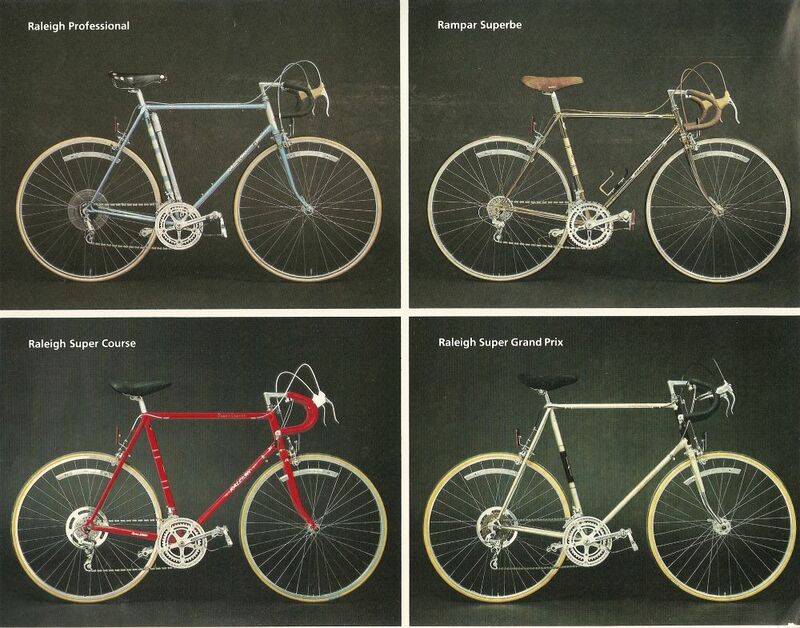 This page is a quick look back at the years when everyone rode steel frames and all bikes looked basically the same. The Man went on to win six and was the dominant athlete during the steel years. In his first Ironman in 1980 he rode a Raleigh Professional given to him by the bike company. But, as you can see, one wasn't enough: his parents had another bike on the roof of their car as they tailed Dave around Oahu, making sure he got all the support he needed since there was none otherwise! Aerobars evolved quickly. Clockwise in the photo below you have Scott Molina in 88 with twist shifters on the end of his DH bars, Kenny Glah with clip-on's also in '88, Erin Baker with the scary Profile 100k bars from 1990 and Tinley with Profile 1's on this bike in '88.